All options are offered on a quarterly / yearly subscription, or an outright purchase basis. 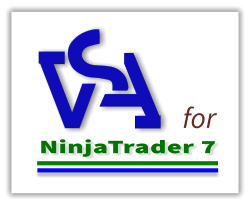 If you want to learn the VSA methodology and use it to analyse charts in your NinjaTrader package then Option 1 is right for you. You can use the Scanners to identify trend alignment and the VSA software tools to identify trades setting up using our Scan Confirm Trade trading process.